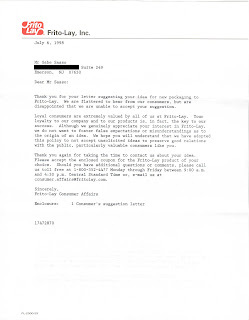 I decided to write to Frito Lay. It seemed that their "Rold Gold' product was a natural partner for the "Non-Shop" concept. 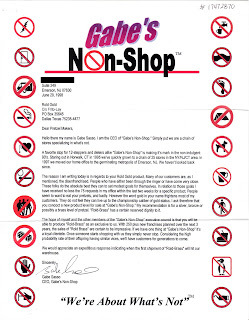 All letters from "Gabe's Non-Shop" go out with this handy, informational pamphlet. 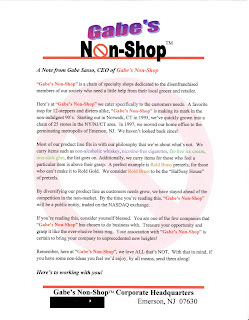 Brian designed this and I think the "Non-Shop" concept may have been his idea or suggestion. Their response is generic. They even sent the original letter back.